Image of the ear showing the tympanic membrane. aka eardrum. 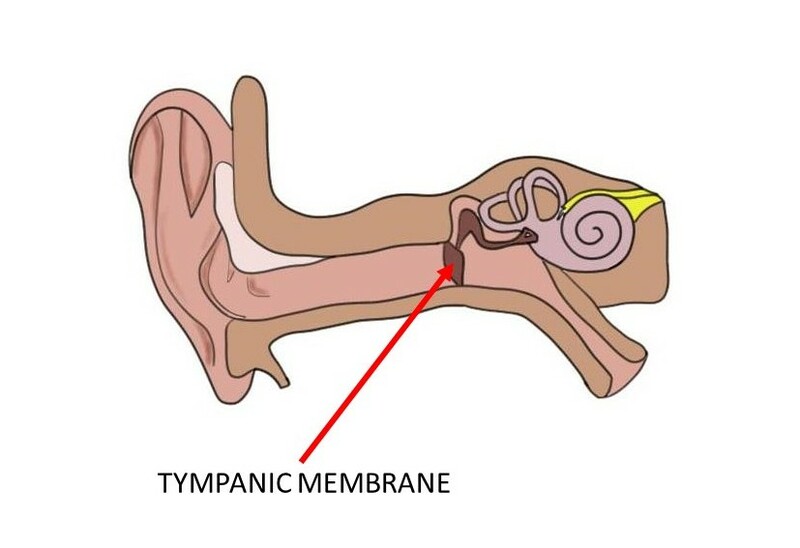 The tympanic membrane is a membrane that separates the outer from middle ear. Sound waves hit the tympanic membrane, causing it to vibrate. The vibration is then transferred to the ossicles, which transmit the vibrations to the inner ear where the receptors for hearing are located. Watch this 2-Minute Neuroscience video and/or read this Know Your Brain article to learn more about how the vibrations of the tympanic membrane are transformed into signals the brain can understand.